We all know about the bicycle-filled spring weekend coming up in April. But, do you know about the history of the famous Little 500? 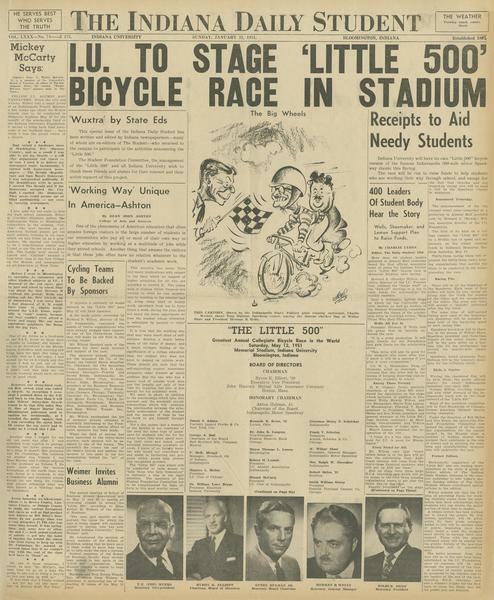 The Little 500, or “Little Five,” cycling race began in 1951 when Howard S. “Howdy” Wilcox Jr., then director of the IU Foundation, founded the event as a way to bring students and the University closer together. He aimed to emulate the beloved Indianapolis 500 speedway race, which his father Howard Wilcox won in 1919. His father was killed only four years later at a racetrack in Altoona, Pennsylvania, leaving 3-year-old Howdy an orphan, his mother having died 2 years prior. 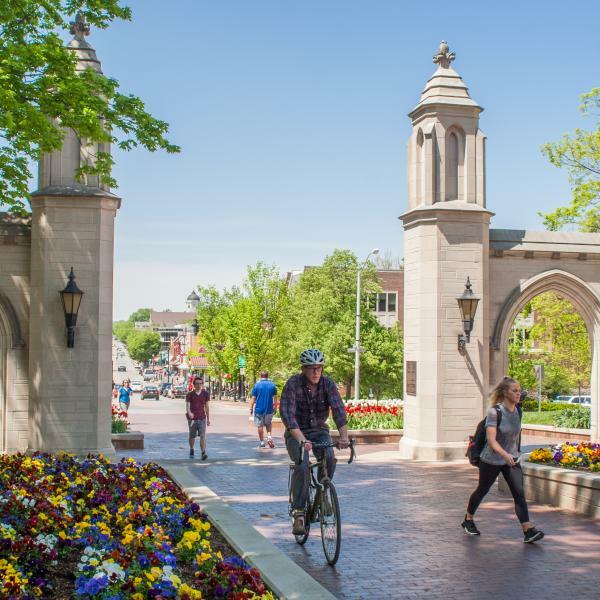 The race quickly became a key part of student life at Indiana University, and its popularity only increased over the years. We all know about Breaking Away, the 1970s film set in Bloomington that tells of one character’s cycling enthusiasm and desire to race in the Little 500. Today, student cyclists can be seen all over Bloomington no matter the time of year. The Student Recreational Sports Center (SRSC) offers cycling classes designed to help individuals train for the race and for fun. 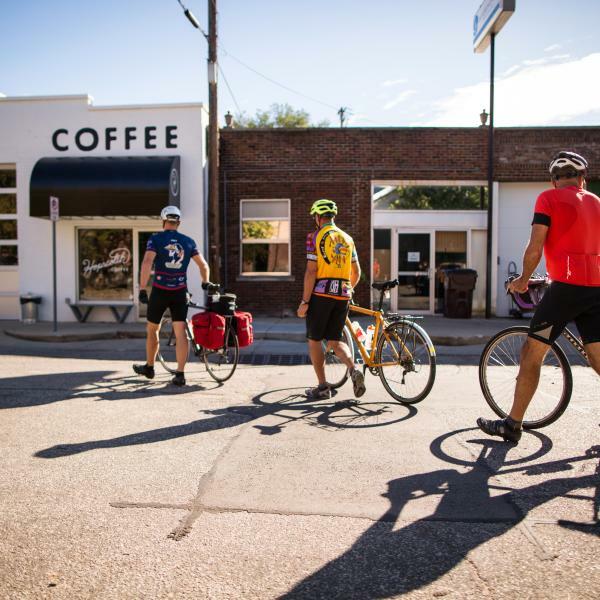 Cycling and Bloomington are even now synonymous for many, and the city is often seen as one of the top cycling communities in the country because of the many bike lanes and trails in and around the city. The Little 500 is a legendary event that has helped shape this community. The race was originally designed for male students only. But, women were interested in competing as well. The sorority, Kappa Alpha Theta, even competed in the Qualifications Trials (or Quals) during the winter of 1986-1987 in hopes of participating in the Men’s Little 500. They nearly qualified coming in 34th place with a time of 3:03.72, but were then bumped from the roster with four men’s teams due to the times. Only thirty-three teams are selected in the qualifications trials to compete in the Little 500 Race. 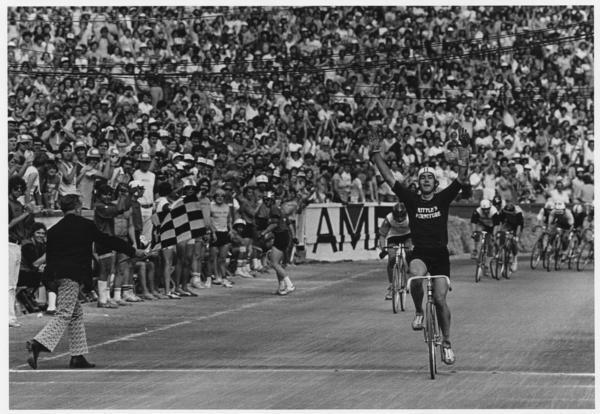 Eventually, Dean of Women’s Affairs Phyllis Klotman, suggested a women’s version of the cycling race after learning that there was significant interest from many female students. Previously, women had only been able to participate in the Mini 500, a tricycle race in Assembly Hall in which participants raced on custom-made trikes. 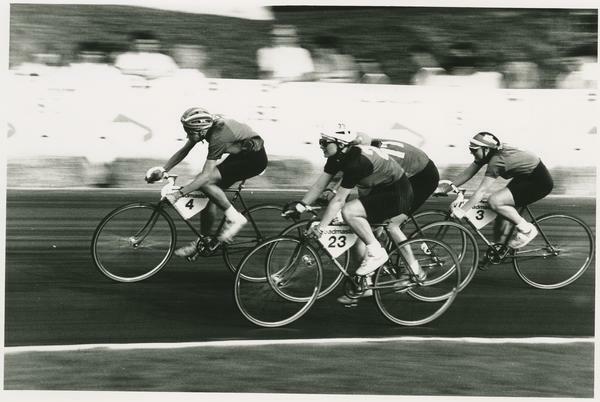 In 1988 the first Women’s Little 500 Race was held, with 30 all-female teams competing to cycle 100 laps (25 miles). Since the first race in 1988, Kappa Alpha Theta has won the Women’s Little 500 six times, and they have historically finished in the top 10. In 1988, men were also allowed to participate in the Mini 500, which had previously been a women-only event. Eventually, the Mini 500 race was replaced with the Little Fifty, a relay running race, in 2002. 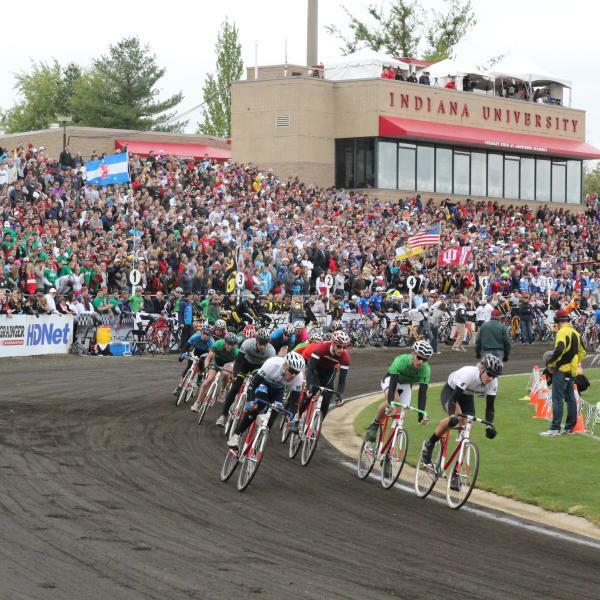 While the first event consisted of a single bike race, as the size and the reputation of the Little 500 grew over the years other entertainment and events were created to fill out the weekend. Celebrity visits and entertainment quickly became the norm. In 1953 the Variety Show and the first Little 500 Sweetheart, Lu Ann Simms (an actress and singer) were added. In 1960 Friday night concerts joined the schedule, and in 1963 the Cream and Crimson intra-squad football game was also added to the roster of events. In 1964 Bob Hope performed for the massive crowd attending the Little 500 that year. Hope enjoyed it so much, he donated to the scholarship fund and returned to perform three more times in 1967, 1971, and 1975. Since almost the first race, the Little 500 weekend has been both a race and a chance for entertainment to remember. Over the years, numerous singers and artists have performed for the now huge crowds that attend every year. In 2008, during his campaign for the presidency, President Barack Obama even surprised attendees with a visit. Over the years, students and visitors to IU have recorded their experiences of the “Little Five” in their scrapbooks, photographs, and memorabilia. 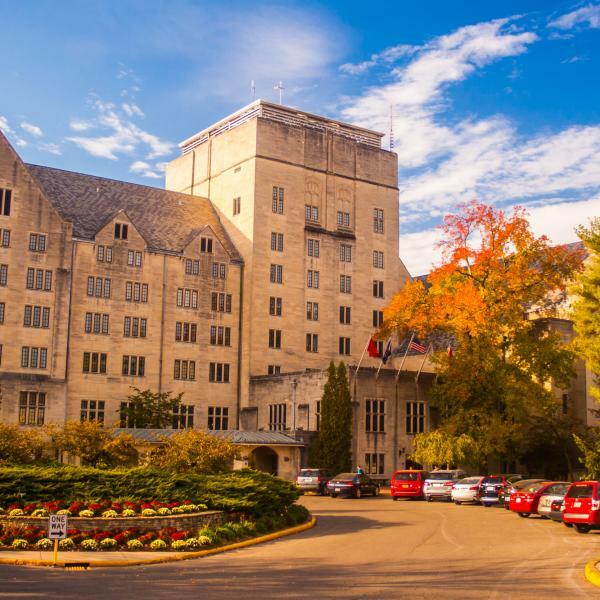 The IU Archives collects and preserves these materials for future students and researchers. A number of our collections contain historic ephemera and collected memories from Little 500 races over the years. For example, in 2017 the Archives acquired the Kathleen Cavanaugh scrapbooks, 1960-1965 which contains the donor’s collected Little 500 1960-1962 tickets and programs. The Indiana University women’s residence hall scrapbooks, 1925-1959 and the Margaret Werling scrapbook, 1951-1953 also contain student collected photographs and memorabilia from different Little 500 races over the years. The Sally A. Lied papers, 1963-1987 contains ephemera related to the 1968 Little 500 Sit-in, which occurred while she was a student at IU. More information about the Little 500 Sit-in can be found at in the digital exhibit Student Demonstrations at IU in the 1960s. We also recently acquired all of the Indiana University Student Foundation’s Little 500 scrapbooks dating from 1950 through 2013! Besides those mentioned above, the IU Archives holds numerous other records and papers documenting the World’s Greatest College Weekend. We welcome anyone interested in learning more about the history of this legendary race, or about any other IU history topics, to schedule an appointment to see or use these materials by emailing archives@indiana.edu or calling (812)855-1127. We invite and encourage members of the public, alumni, students, staff, faculty, and researchers to use our collection, whether the purpose is for teaching, research, or for your own curiosity. Experience the World&apos;s Greatest College Weekend. Your choice, road or the trail. 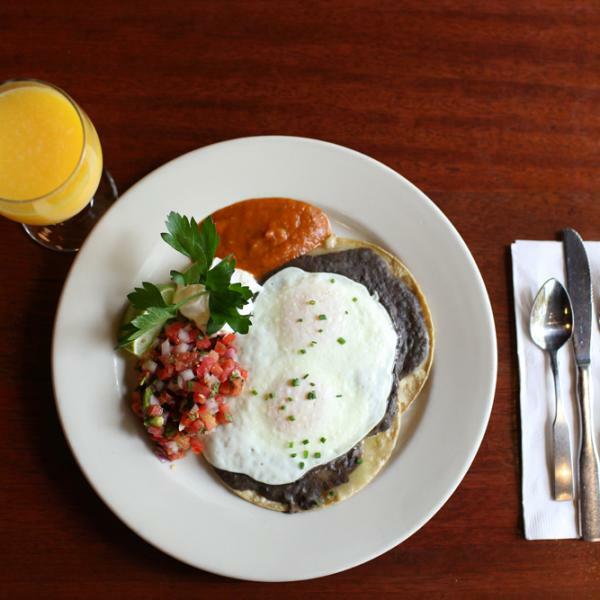 Visitbtown fans name their favorite brunches in town. Laura Bell will graduate in May 2018 with her Master's Degree in Library Science and a Specialization in Archives and Records Management from the Department of Information and Library Science of the School of Informatics, Computing, and Engineering (SICE) at IU. 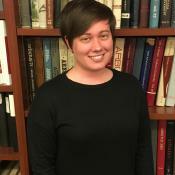 She's worked at the Indiana University Archives since beginning the MLS program in 2016 and has enjoyed learning from and working with the wonderful professionals at the IU Archives immensely.